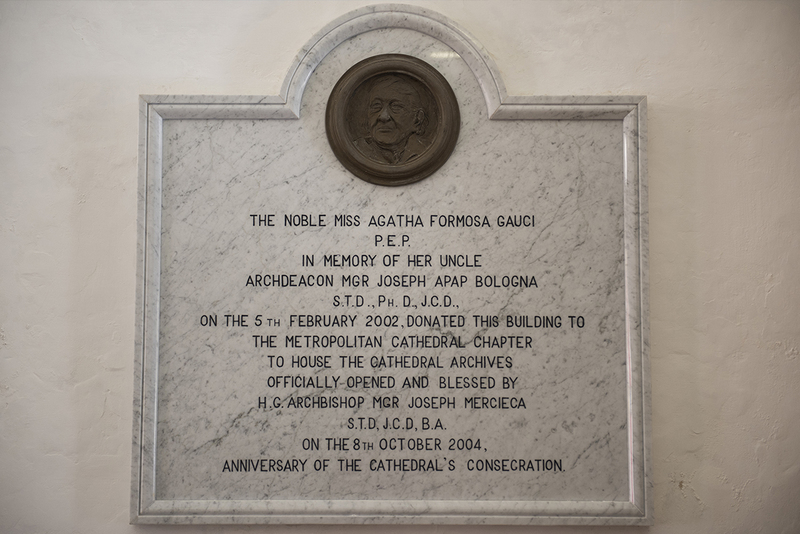 The noble Agatha Formosa Gauci (1915-2007) was the niece of the archdeacon of the Cathedral, Mgr Giuseppe Apap Bologna (1883-1962) who had a brilliant career, first serving in Spain in the diplomatic service of the papal nuncio, then in Malta as rector of the Seminary, head of the matrimonial tribunal and senator representing the clergy of Malta. In memory of her uncle, on 5th February 2002, the noble Agatha generously donated her house at 11 Villegaignon Street, Mdina, to the Cathedral Chapter to be used as the seat of the Cathedral Archives. 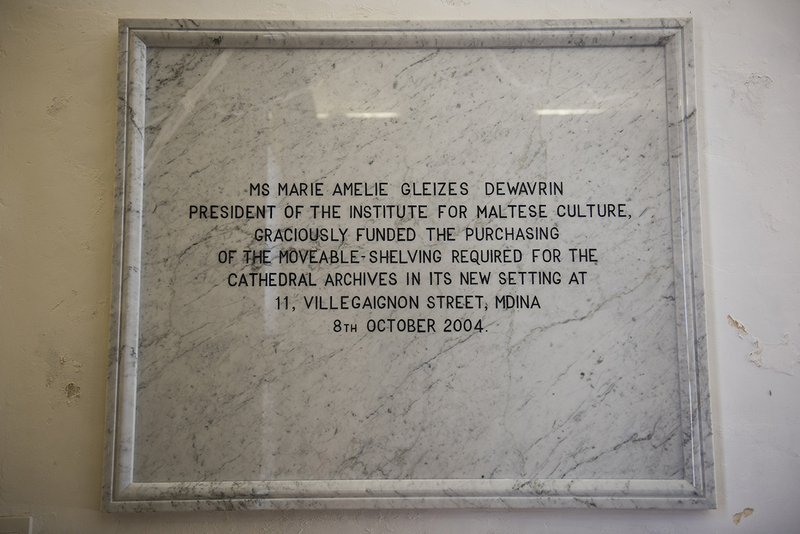 To facilitate the handling of the thousands of manuscripts conserved in the Cathedral Archives, another benefactress, madam Marie-Amelie Dewavrin, president of the Institute of Maltese Culture, generously financed the much-needed compact shelving. Both benefactors are recorded in separate marble inscriptions located in the entrance hall of the archives.